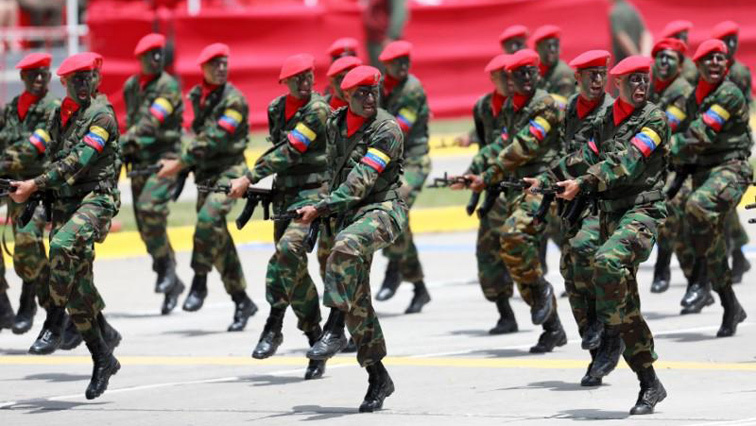 Venezuelan army moves to block aid shipments, sparking US anger - SABC News - Breaking news, special reports, world, business, sport coverage of all South African current events. Africa's news leader. Soldiers blocked a key border bridge, sparking angry demands from the United States to allow desperately needed humanitarian aid to enter the country. Venezuela’s opposition leader Juan Guaido warned the army of its responsibilities on Wednesday after soldiers blocked a key border bridge, sparking angry demands from the United States to allow desperately needed humanitarian aid to enter the country. “The Maduro regime must LET THE AID REACH THE STARVING PEOPLE,” Pompeo said in a tweet. Guaido claims that up to 300 000 people face death if the aid is not delivered, following years of economic crisis and shortages of basic food and medicines. The 35-year-old National Assembly chief who stunned Venezuelans when he proclaimed himself president on January 23 is trying to force Maduro from power, set up a transitional government and hold a new presidential polls. Venezuela’s powerful military which despite a few defections has remained loyal to Maduro is seen as key to the outcome of the socialist leader’s power struggle with his young rival. In a bid to tip the balance, the US said it was prepared to exempt Caracas’ army top brass from punitive sanctions if they recognized Guaido. Maduro disclosed Monday that he sent Pope Francis a letter seeking help in mediating the country’s crisis. The pope told journalists Tuesday that this would require agreement from both the government and the opposition. Guaido backed the idea on Wednesday, saying the Argentine pope could bring his “great moral authority” to bear on Maduro to convince him to leave power. This entry was posted on 07 Feb 2019,06:45AM at 6:45 AM and is filed under World, Homepage Featured Story Slider. You can follow any responses to this entry through the RSS 2.0 feed. Both comments and pings are currently closed.